Former El Salvadorian president Antonio Saca has pleaded guilty  to money-laundering and embezzlement charges. He and six other former public officials are accused of having diverted over US$300 million from the country’s treasury to personal bank accounts between 2004 and 2009. The plea, which comes 22 months  after Saca first denied the accusations, means his sentence will be reduced from 30 to 10 years. Analysis by InSight Crime indicates that corruption is endemic in El Salvador. Three presidents in a row, whose terms collectively spanned 15 years, have faced corruption allegations. Mauricio Funes (president from 2009 to 2014) is accused of stealing US$351 million during his term, and Francisco Flores (1999 to 2004) was being prosecuted for diverting aid funds when he died. London’s Metropolitan Police Service is rolling out mobile fingerprint scanners  over the next six months. Similar technology has been used since 2012, but the Met developed this version in-house, a move that will save an estimated £200,000 (A$350,900) a year, and allow the force to deploy six times the number of devices. The ‘identity not known’—or INK—device plugs into a smartphone and can identify a person in 60 seconds. Concerns have been raised  that the kits will be disproportionately used against minorities and for immigration checks. A veteran jihadist from Northern Mali  has surrendered to the Algerian government. Sultan Ould Bady, a founder of a group called Katibat Salahadin, also had links to various Islamist militant groups operating in North Africa, including Al Qaeda in the Islamic Maghreb and Islamic State. Algerian authorities claim Bady surrendered under a deal between France, Mali and Algeria to give amnesty to jihadists who turn themselves in. Bady, who also gave up a cache of weapons, was alleged to have carried out ambushes against Malian troops and pro-government militias. Three years after 38 people were killed in a beach massacre in Sousse, Tunisia, local police are reported to have arrested two suspected Islamic State terrorists . The men, aged 19 and 21, were arrested in Sousse and are alleged to have been planning a ‘major attack’. The suspects are thought to have links with jihadist leaders  in Libya and Syria. Northern Ireland’s government has proposed ‘stop and search zones ’ along the border with Ireland after Brexit. The measure is part of a counterterror and border security bill and would allow police to stop, search and detain anyone thought to be engaging in ‘hostile activity’ within a mile of the border. Irish and UK negotiators will meet in Brussels to try to resolve questions about the post-Brexit border, which could have critical economic repercussions  if unresolved. The UK government has previously ruled out a ‘hard border’ between Ireland and Northern Ireland. Uganda has suspended its cattle trade  with Tanzania in an effort to curb an increase in animal diseases. Officials from both countries are working to better monitor the porous border, which has accelerated the spread of foot-and-mouth disease and Rift Valley fever since 2015. This follows Kenya’s July announcement  that it will not fully lift its ban on Ugandan poultry until it can be assured that last year’s highly pathogenic avian influenza outbreak has been fully contained. A US–Canada conflict in the making? The US might be on the edge of another border dispute —this time with Canada. Machias Seal Island, which sits in the Gulf of Maine, is the subject of the last remaining sovereignty stoush between the two countries. 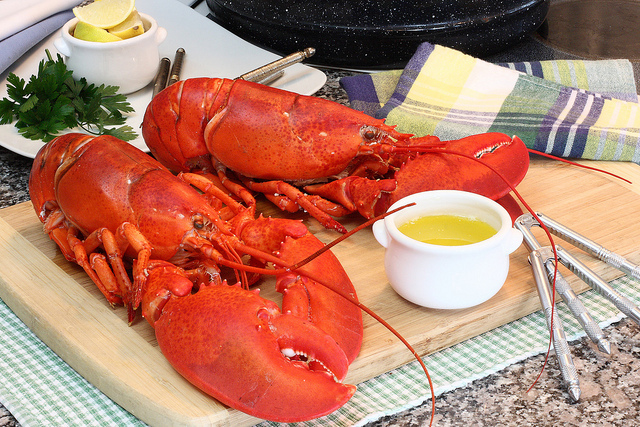 Canada and the US both claim the island  and the surrounding ‘Gray Zone’, which is a valuable lobster ground fished by vessels from both countries. Relations in the zone are usually are cordial, but last month US border agents stopped at least 10 Canadian boats and interrogated their crews. It’s another sign of increased tensions after the countries traded tariffs on steel and aluminium. A massive vaccination campaign  is underway in the northeast Democratic Republic of Congo, where a fresh outbreak  of Ebola is said to have claimed dozens of lives. UNICEF is leading the campaign to deliver free vaccines to community members and health workers. It is also collaborating with local authorities to increase awareness and is offering advice about the disease to locals. This is the most challenging outbreak  of the disease to date, according to the World Health Organization. The UN Food and Agriculture Organization has warned  of the risk of an impending food security crisis as the crop-eating pest known as the fall armyworm threatens to spread from India to neighbouring parts of South and Southeast Asia . The FAO is assisting governments and farmers to implement its Fall Armyworm Monitoring and Early Warning System, which has also been used in Africa. Fukushima residents have responded angrily  to a statue of a boy wearing a radiation suit, as they associate it with the city’s contamination after the 2011 nuclear disaster. The artist behind the sculpture, which was put up earlier this month, said he wanted to encourage people but has since apologised to locals. The city administration is running an education campaign to spread awareness about the clean-up process as it prepares to host some of the events for the Tokyo 2020 Olympics. Rebecca Moore, Aru Kok, Georgia Grice and Aakriti Bachhawat are research interns at ASPI. Image courtesy of Flickr user Dana Moos.